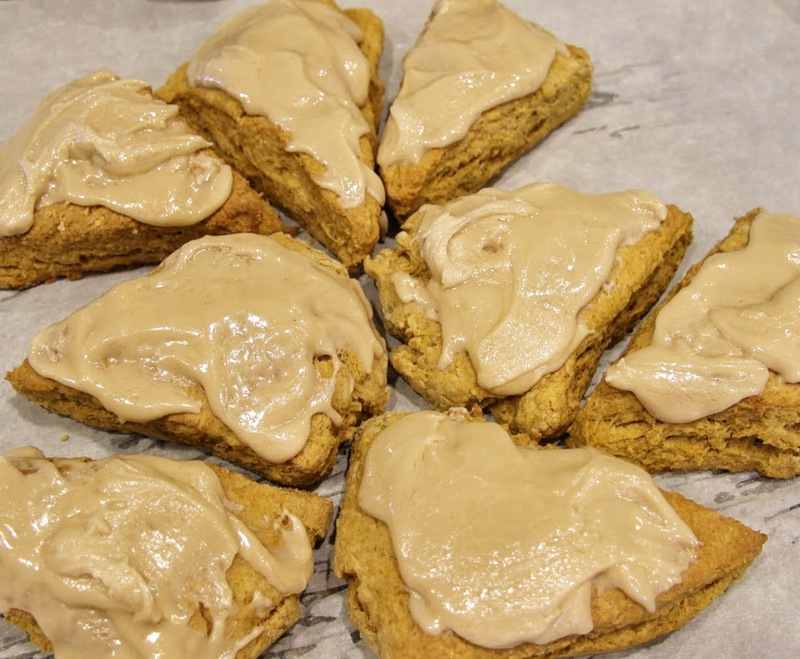 Yes, I really do think you should make these pumpkin scones this weekend. It’s such a fall thing to do and I’m positive you deserve a treat – as do your companions. Plus, if you make them at home, you can stay in your pj’s instead of traveling to some cool coffee shop. I prefer cool coffee shops on weekdays when I have to be out anyway. In case you are new to scone making, I have a couple tips. First, and most important, tip, make sure your butter is cold. 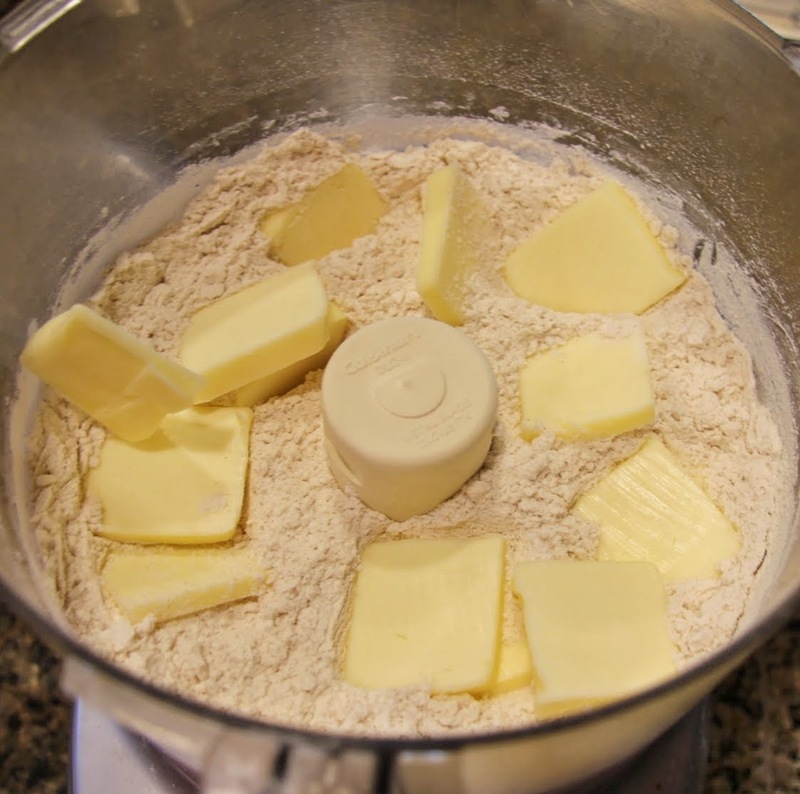 As with pie crust, the colder the butter when it combines with the flour, the flakier the result. And that’s what you want with a scone, a flaky outside and tender inside. You don’t need to get crazy and chill your flour but do wait until the last possible moment to take the butter out of the fridge. If you follow the steps below you will be fine. 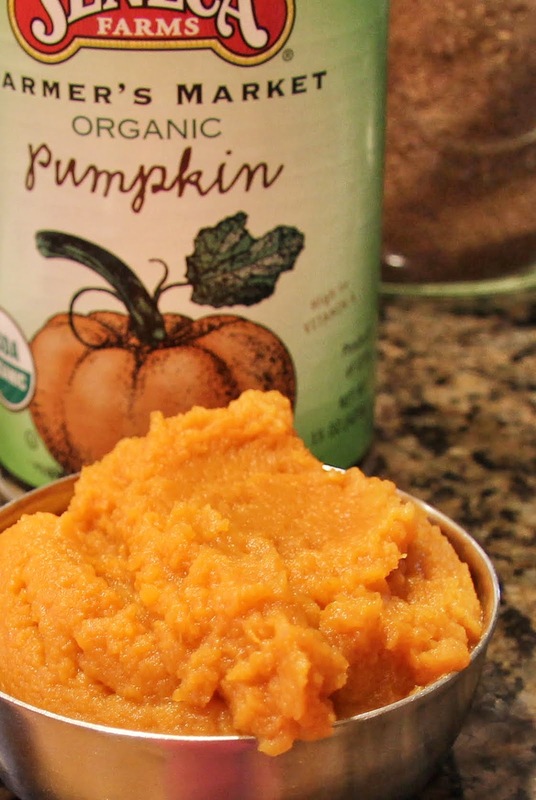 My second tip is to utilize your food processor if you have one. It will be a much faster process. That said, if you are using the pastry cutter or fork method, work quickly so your butter stays cold. 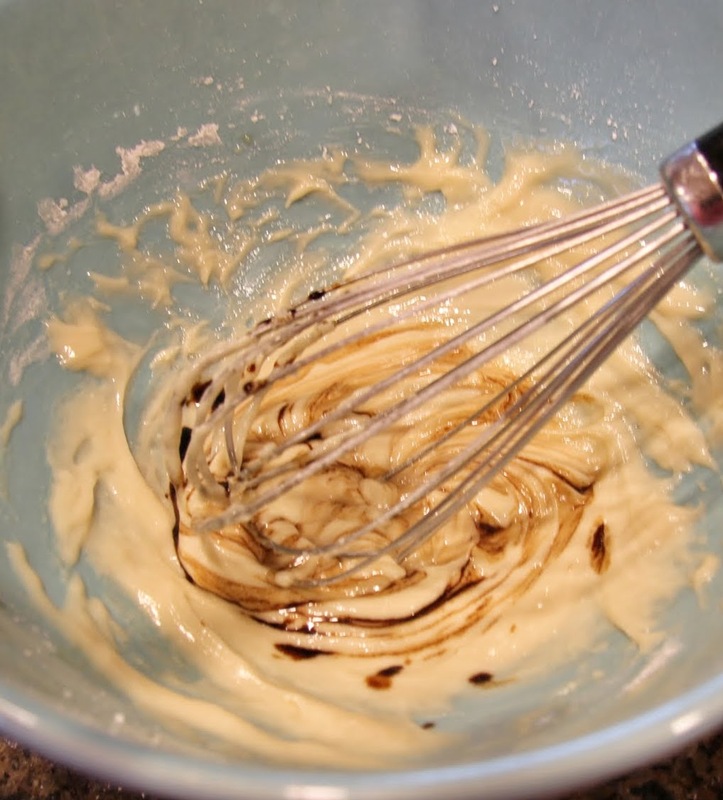 If you are a big fan of maple bars, as we are in this house, you will love this maple icing. Of course, you could also just go vanilla but I think the pumpkin+maple combo is delicious. Get some good quality maple extract from your local spice shop or grocery store and use pure maple syrup for the best possible flavor. Preheat oven to 350 degrees. Line a cookie sheet or half sheet pan with parchment paper. 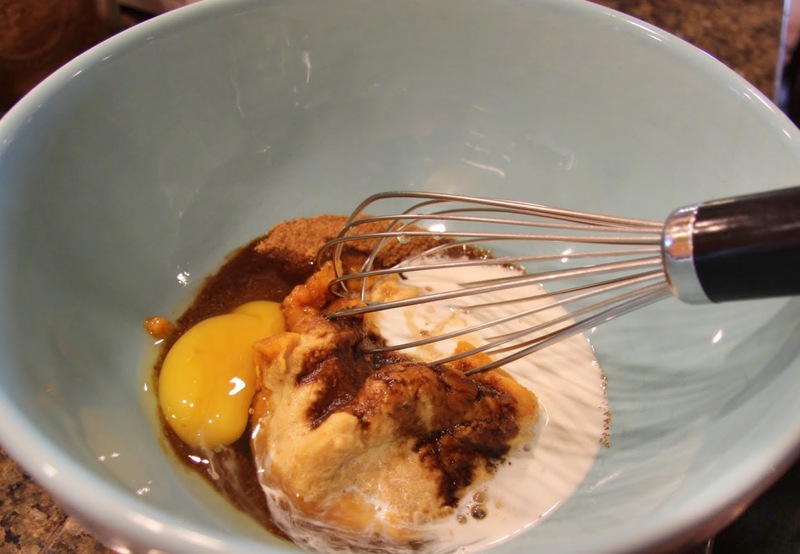 In a large mixing bowl, whisk together brown or coconut sugar, pumpkin puree, egg, half & half, maple extract and vanilla extract until well combined. Set aside. 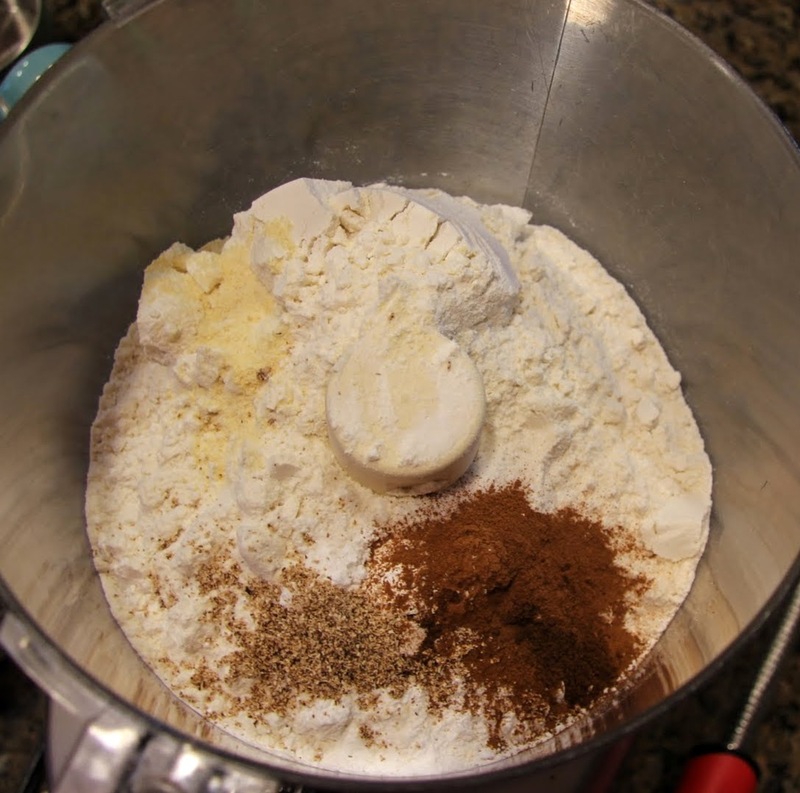 In the bowl of a food processor or in a mixing bowl, combine flour, baking powder, salt, cinnamon, nutmeg, ginger and clove. 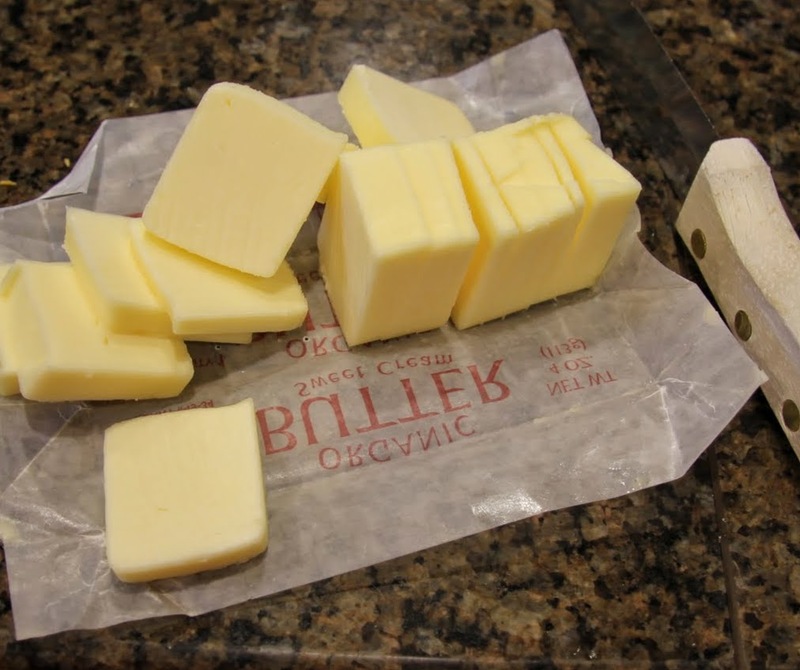 Remove butter from fridge and slice into several pieces. 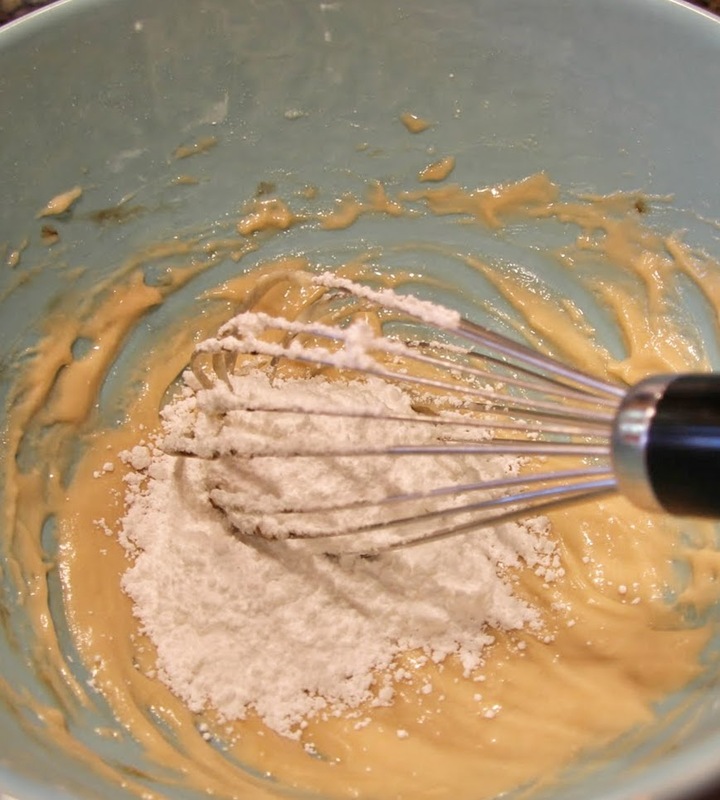 Combine with the flour mixture using the pulse setting on the food processor or with a pastry cutter if using the mixing bowl. 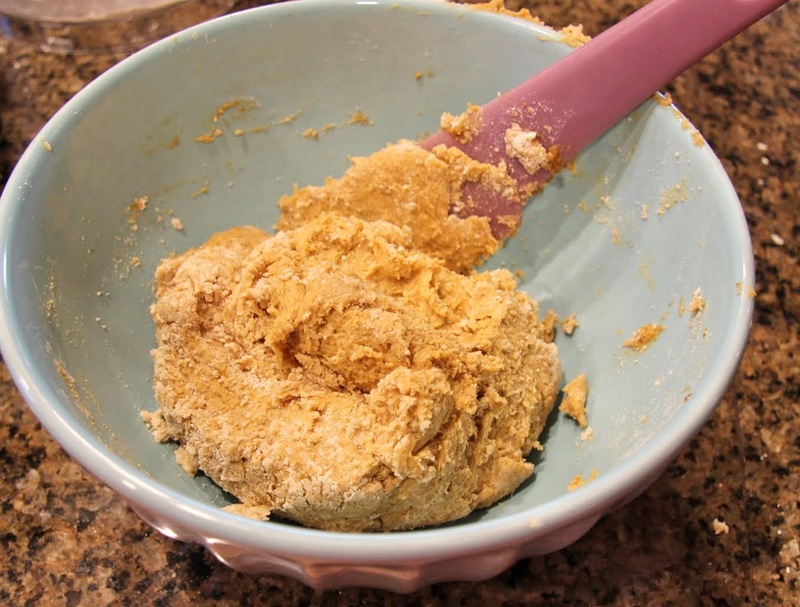 It should resemble coarse cornmeal. 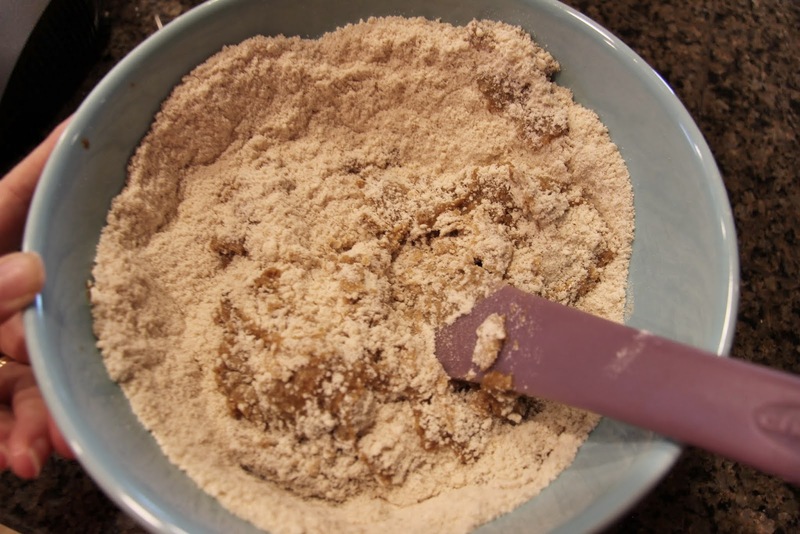 Working quickly, stir/fold the flour mixture into the pumpkin mixture. It will be a thick dough. 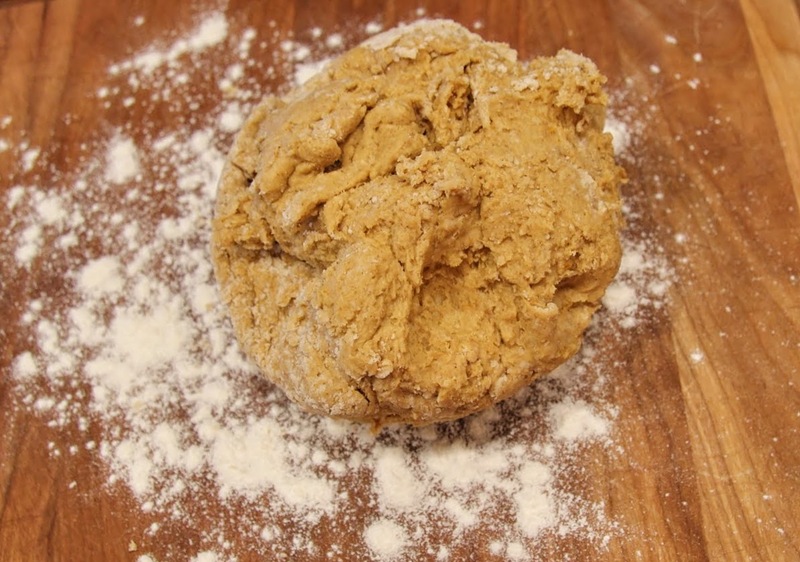 Be careful not to overwork the dough and don’t use your hands because it will warm it up too much. Turn it on to a lightly floured board. 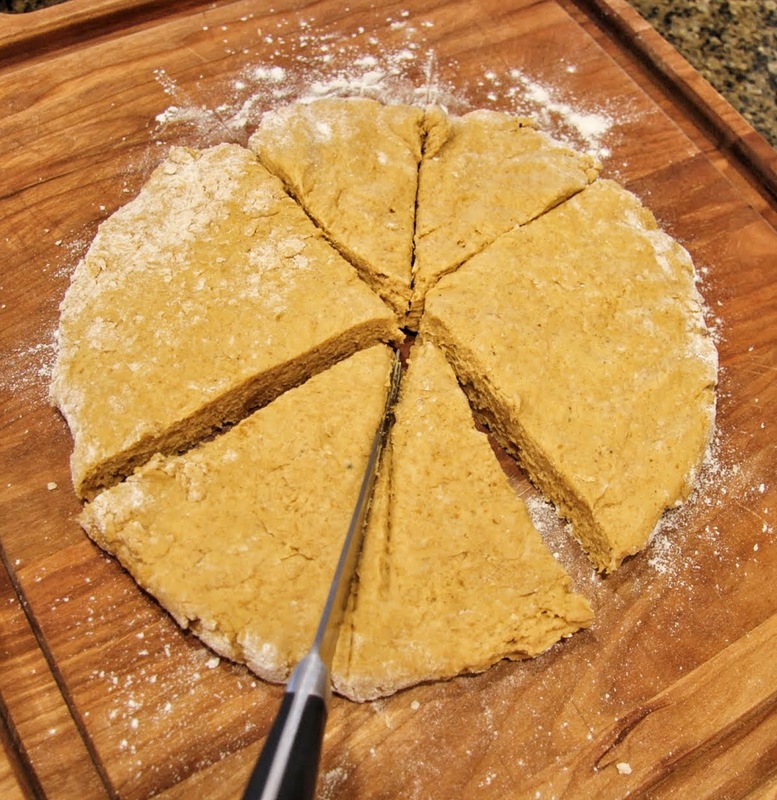 Now you can use your hands (if you’re fast about it) – gently flatten into a circle (approx 8inch diameter) and slice into 8 wedges. Or use your fancy scone pan if you have one. Place scones on parchment lined pan. Bake in preheated oven for 15 – 20 minutes. 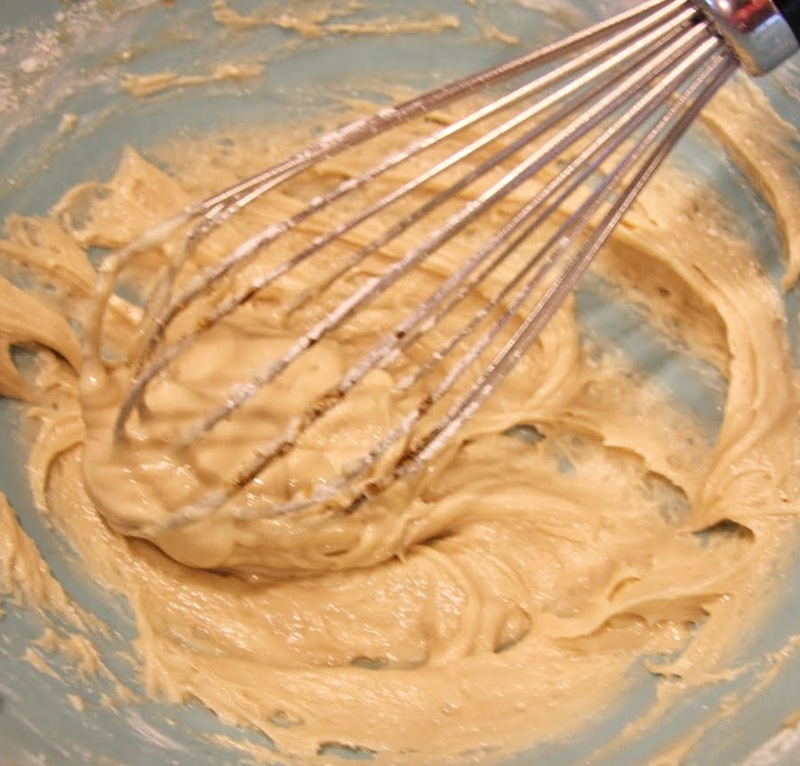 Meanwhile, make your maple icing. 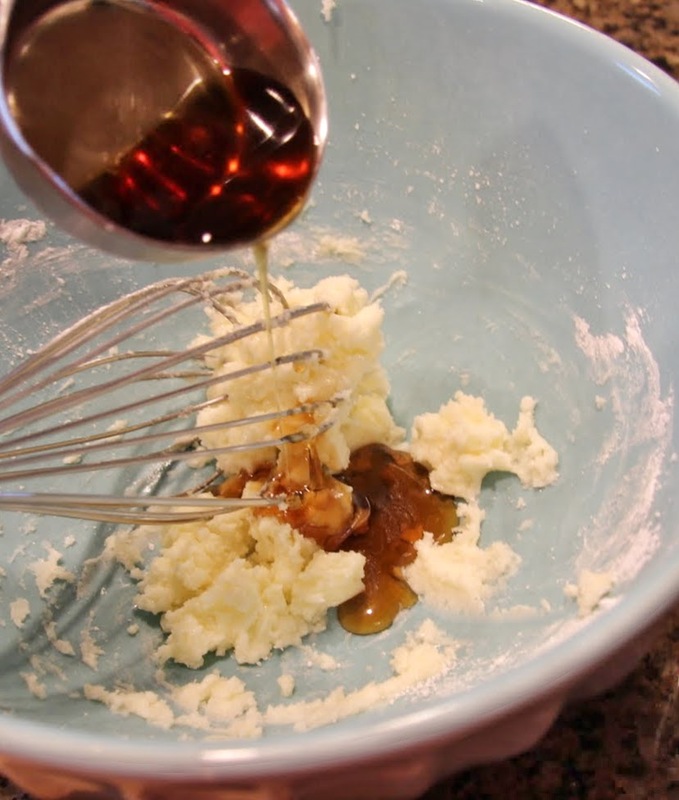 Combine soft butter (pop it in the microwave on defrost for 20 – 30 seconds to soften it quickly) with 1/2 cup powdered sugar and whisk in maple syrup and maple extract. 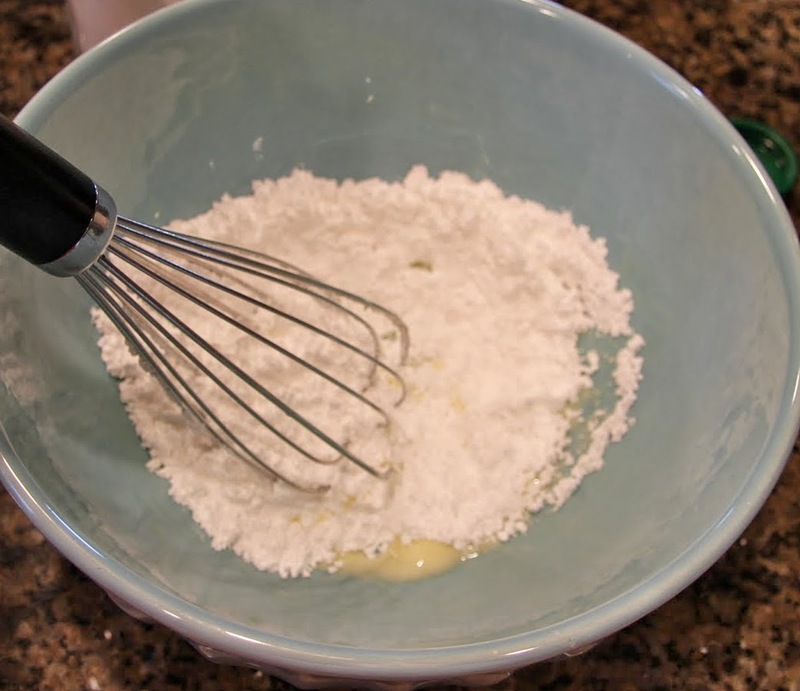 Whisk in remaining 1/4 cup powdered sugar. You’re done when it looks like this. 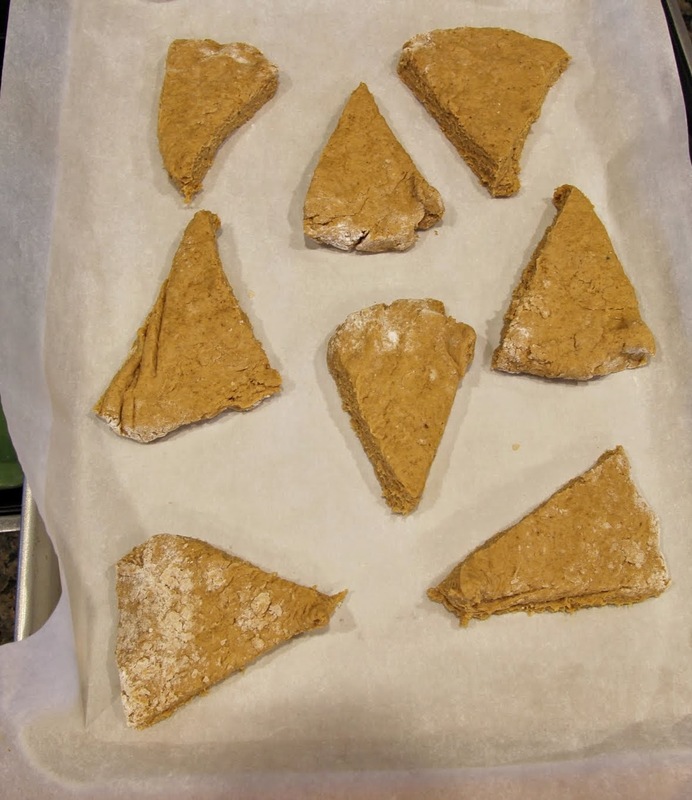 Remove scones from the oven and allow to cool for about 10 minutes before spreading on the icing. You want them warm but not hot. Place a dollop of icing on each scone until evenly distributed, then spread with a butter knife or small offset spatula. There, that wasn’t so hard, was it? I just read Big Magic by Elizabeth Gilbert. Actually, I listened to it on audible while I was painting our new offices. I have to admit I was reluctant because I was not among the people who went nuts over Eat, Pray, Love. I liked it okay, but it was not a favorite. Big Magic, however, won me over big time. I wish I could have read it when I was in my early twenties. If you are a creative person, a “maker” as she says, and you are holding back from pursuing your art, whatever it is, I encourage you to read this book. Thanks for the book recommendation. I was with you on “Eat, Pray, Love” so, otherwise, I might have missed Big Magic. The scones look delicious, too. I'm not cooking with wheat flour anymore, though. 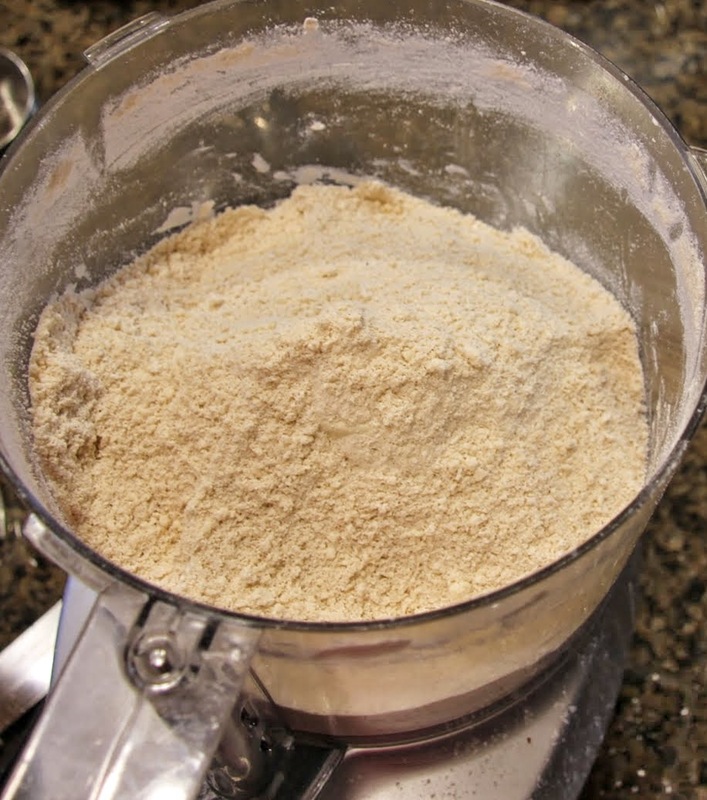 Have you ever used any gluten-free flours or baking mixes that you think work well? Hi Jane! I look forward to hearing your thoughts on Big Magic if you read it. 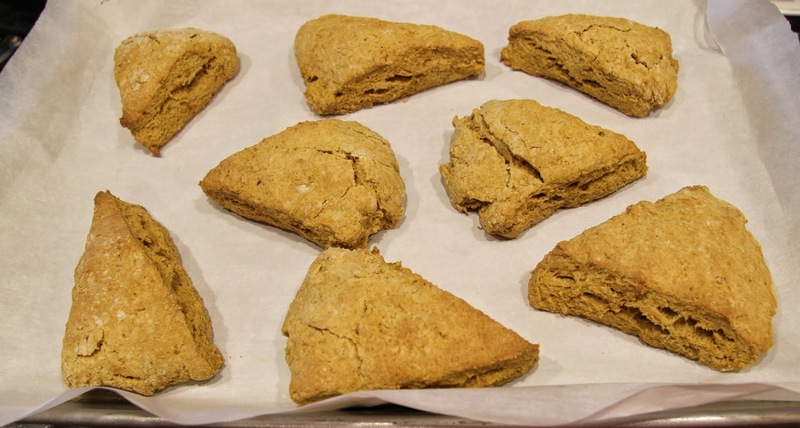 I have had good luck with Bob's Red Mill all-purpose gluten free blend when baking cakes – that's what I would try using for scones. Hope it works out!